The Freedom Baby aka Harlequin Jo will produce rock hard buds covered in golden powder. Combining the Harlequin, a fine CBD mother from Gage Seeds and their Joseph OG. 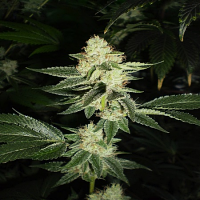 Freedom Baby Regular Marijuana Seeds by Gage Green Genetics Seeds: The Freedom Baby aka Harlequin Jo will produce rock hard buds covered in golden powder. Combining the Harlequin, a fine CBD mother from Gage Seeds and their Joseph OG gives patients the opportunity to find incredibly medicinal champions. 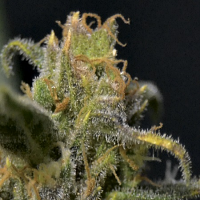 The Harlequin cut has been circulating the medical cannabis scene for its medicinal value. 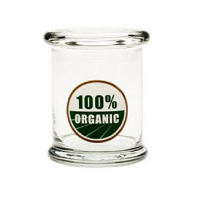 One of the first strains that produced high concentrations of CBD aka Cannabidiol, a cannabinoid produced in cannabis that has been found to treat numerous medicinal conditions ranging from inflammation to nausea to inhibition of cancer cell growth. The Harlequin will put your body in a perfectly medicated state while keeping the mind free of the usual psychoactive effects of cannabis. The Harlequin produces sweet buds with high resin production and a thick hash flavour. It is definitely very pleasant and a non-psychoactive effect that can still be felt as the aches and pains melt away. 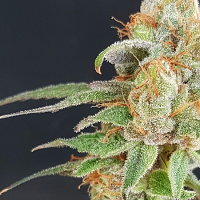 Gage Seeds wanted to create a hybrid that could offer the medicinal user’s the opportunity to experiment and select from interesting phenotypes that may carry the high CBD trait in it. 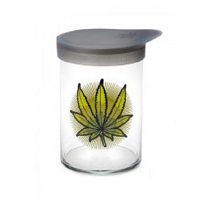 They hope to reintroduce CBD genetics back into the cannabis gene pool through their efforts. While each phenotype will contain genes from the Harlequin, expression of the high CBD trait is not guaranteed.